Partnering with the largest flooring manufacturer means having special advantages and benefits specific to the unique demands of new construction. 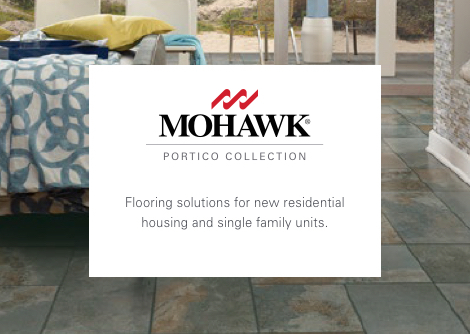 The Mohawk Portico Collection addresses all the needs associated with flooring installed in new residential housing for single-family units. Mohawk is committed to the success of the builder industry by simplifying everything from product mix to logistics. Mohawk enjoys global brand recognition as the world’s largest flooring manufacturer and distributor of flooring products worldwide. Mohawk and its family of brands are among the most well known in the flooring industry. Partnering with Mohawk means you have access to the world’s best flooring products – all made with the latest in style, innovation, design and color from some of the biggest and best names in the business. As the world’s largest flooring manufacturer, Mohawk has the resources to create product specifically for the multi-family and property management segments. 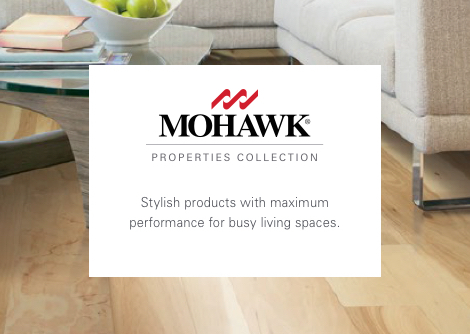 The Mohawk Properties Collection caters to the needs associated with new and replacement flooring in your market. This collection addresses the demands of busy living spaces by providing products with superior performance and upscale styling. Mohawk offers high-quality broadloom, modular carpets and hard surface flooring within all key price points. As the world’s largest flooring manufacturer, we have the resources to create product specifically for the multi-family and property management segments. The Mohawk Properties and Portico collections addresses the demands of busy living spaces by providing products with superior performance and upscale styling - all made with the latest in innovation, design, color, and style from some of the biggest and best names in the business. Mohawk and its family of brands hold the leading market position in carpet and rug, resilient, vinyl, hardwood, ceramic and natural stone. Our company is vertically integrated in both manufacturing and distribution, allowing us to manage costs and respond quickly to changes in the builder/multifamily business. A vast majority of products are made in the USA. Our flooring solutions are sustainable and cost effective to maximize returns, reduce operating costs and maximize efficiency.